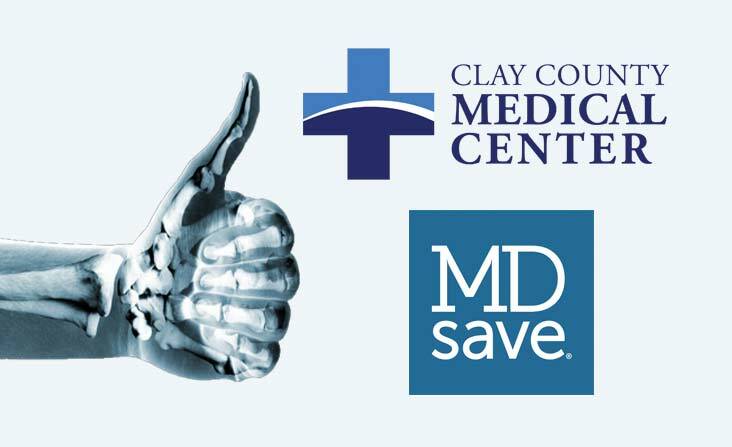 Clay County Medical Center (CCMC) has partnered with MDsave to help individuals and families without insurance, or with high-deductible health plans, save up to 60 percent or more off the average rates of many common procedures. Through the MDsave marketplace, patients can compare costs and take advantage of simplified billing and educational resources. Out-of-pocket expenses prevent many individuals and families from receiving the medical care they need, especially preventive procedures. By offering MDsave, CCMC is working to create more affordable options for our patients. MDsave's website allows patients to search by procedure, provider, specialty, or ailment. The process is upfront and easy. Just choose the best option, add to your cart, and check out online. The price posted is what you pay. “Our average customer is saving 40 to 60 percent,” says Paul Ketchel, CEO of MDsave. For example, Ketchel explains, an MRI might cost $2,500 on the healthcare exchange, but by booking through MDsave, that same customer could receive an MRI at CCMC for less than $500. Similar savings are available on many of the procedures offered in our lab, radiology, and therapy department. Go to www.mdsave.com/ccmc to access this new program.